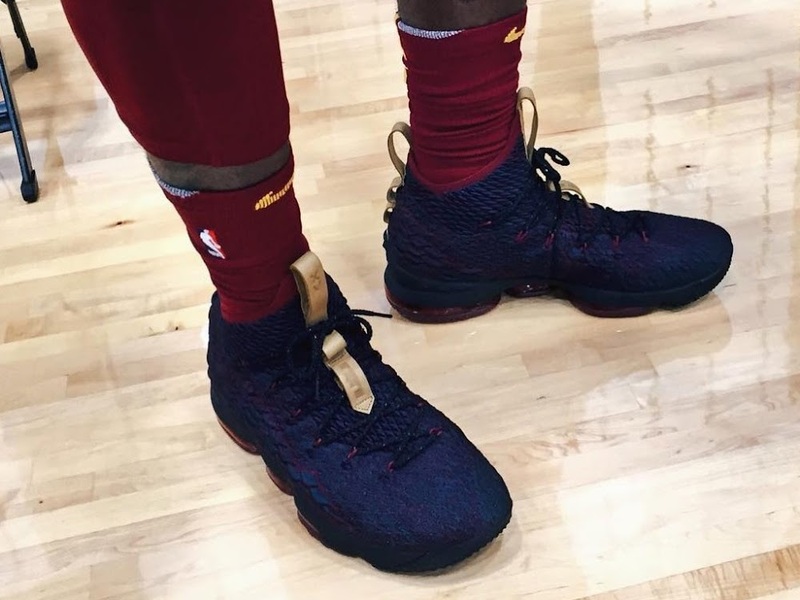 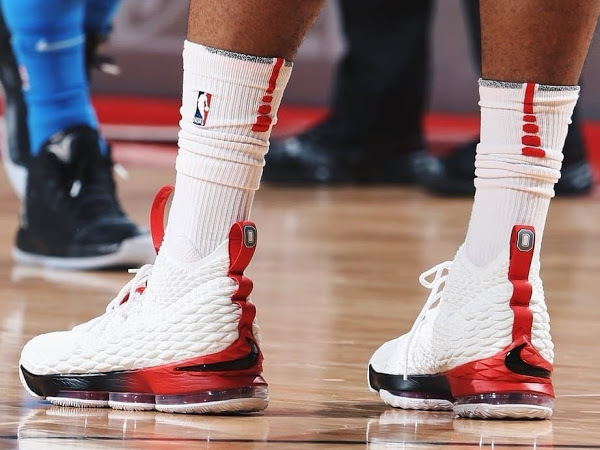 Nike has already produced some decent looks for the upcoming LeBron 15 but James has taken things one step further on NBA Media Day. 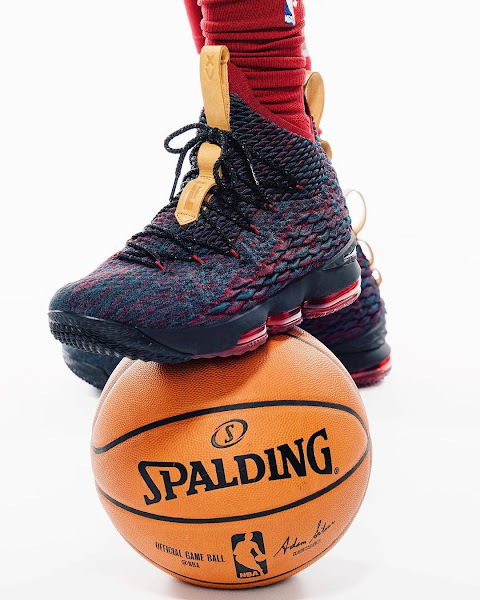 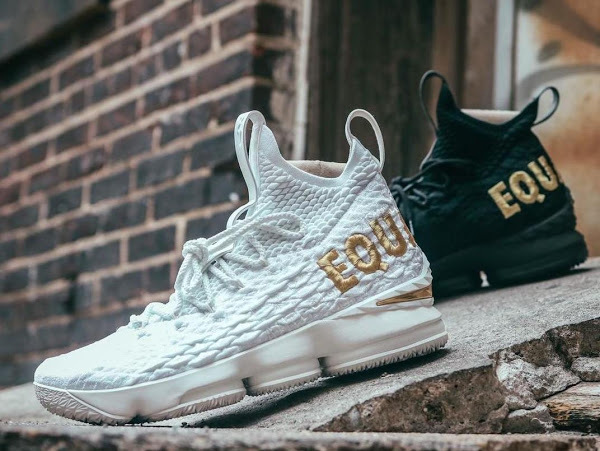 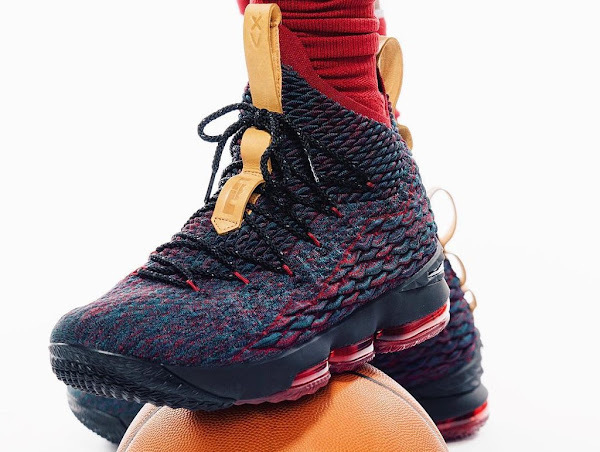 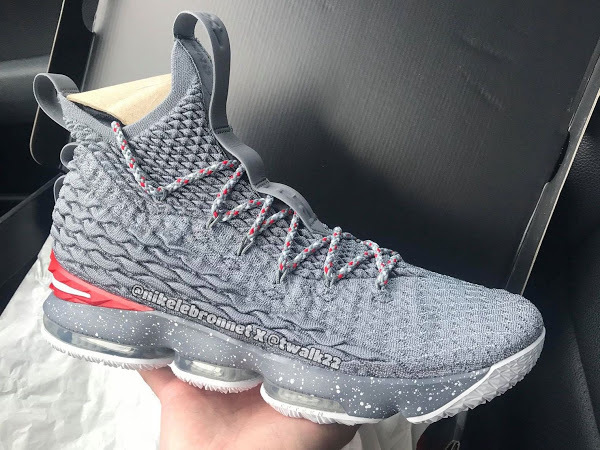 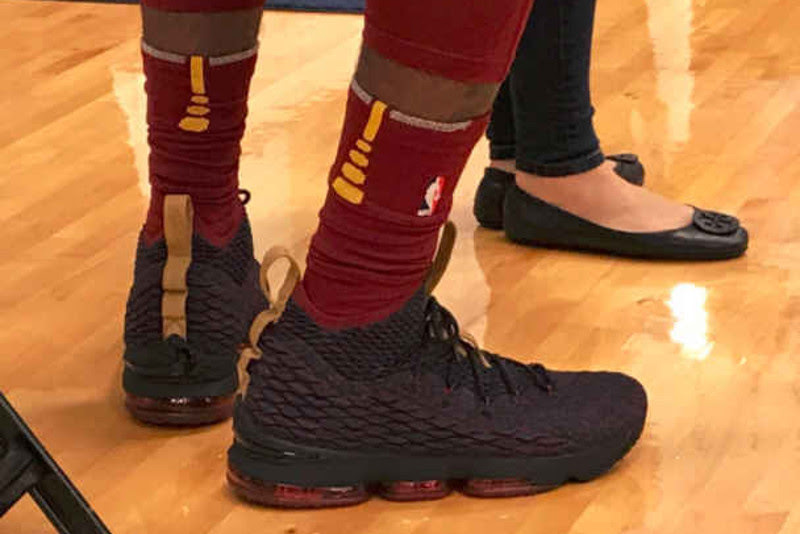 The King sported a new Cleveland Cavaliers colorway, which looks pretty plain from distance, but upon closer examination there’s much more to it. 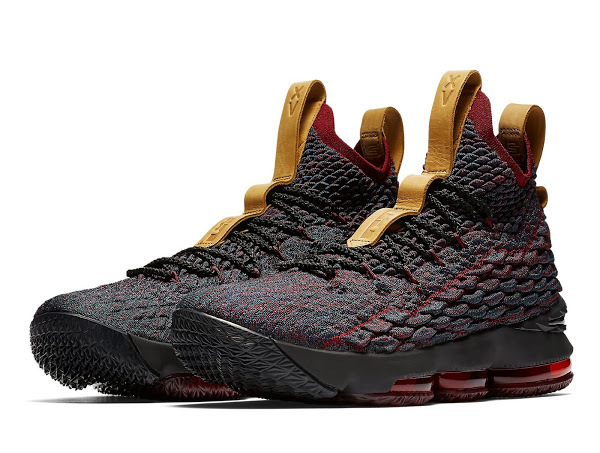 I guess the Navy and Red Flyknit upper is just a preview of some amazing things to come. 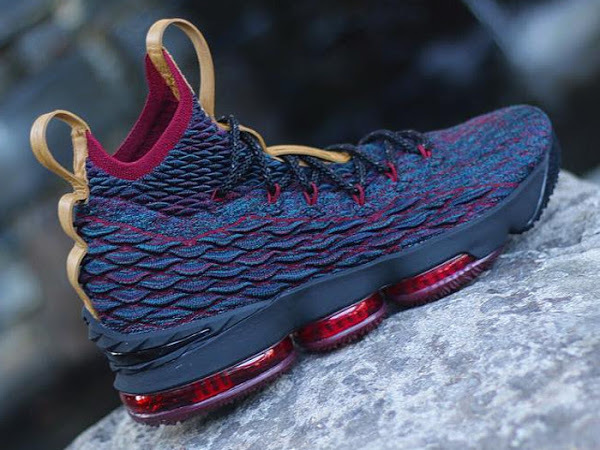 The Navy midsole and Red Zoom/Air bags go well with it too. 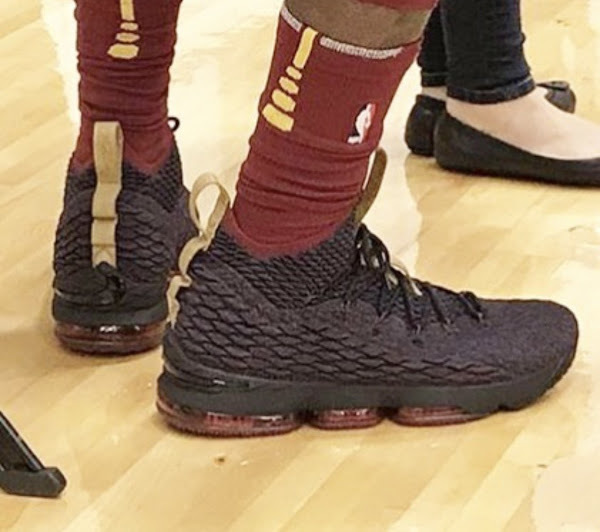 Check out the close ups below.